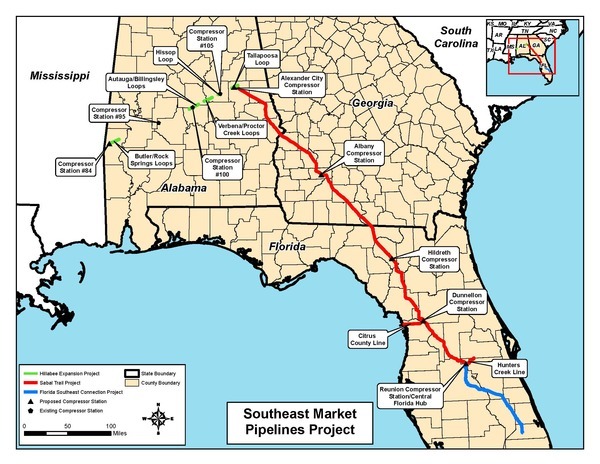 ATLANTA, GA—The Georgia, Florida, and Alabama Chapters of the Sierra Club oppose the 650 mile Sabal Trail Transmission natural gas pipeline that would carry fracked natural gas extracted from Pennsylvania and Texas through Alabama, Georgia, and Florida. 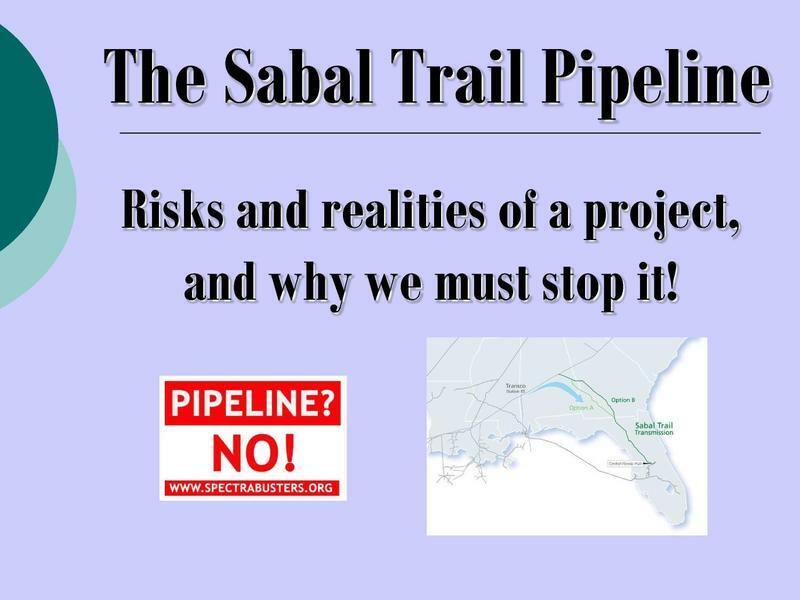 Sabal Trail Transmission, LLC is a joint venture between Spectra Energy Partners, LLC and and NextEra Energy, Inc. Spectra Energy and its related companies have been fined repeatedly for safety and environmental violations throughout the United States including one fine of $15,000,000. Update: 10 Feb 2014: Watch it online or go to one of several other upcoming county commission meetings. Valdosta, 6 February 2014 — Local landowner Monica Martin will speak to the Osceola County Commission about the proposed Sabal Trail methane gas pipeline and its effects on the aquifer, native wildlife, and the landscape, plus property values and property rights. Other local citizens may also speak in the same "Hear the Audience" section (turn in a "Request to Speak" form before the meeting). Anyone from anywhere can come listen, or protest against the pipeline outside.